Keeping a record of your riding data update is an essential for keen riders. If you are one of those passionate riders you must seek for an intense summary of a bike trip. Mountain bike GPS devices come with different features and are offered at various price ranges. You will have a variety of products to choose from in order to find the most suitable one. But which one is the best one? How can you pick the most suitable GPS for your next mountain biking quest? You’ve come to the right place. Riding your MTB is the chance to break free and experience rough terrains with the Adrenaline rush. Still, you want to make sure that you are on the right trail, fully equipped and properly prepared. In addition to a high-quality bike, you need to make sure that you are packing the right accessories. One of the seemingly small additions that can change the way you experience rough terrains is to install the best GPS for your mountain bike. Why You Need a Cycling GPS? I know as so many devices in the market, it can get confusing. Therefore, to help you we made a list which is listed according to the requirements not ranking. After all, you are going to make the final decision and only you know, what features are the best match for you. This is an extremely functional as well as handy bike GPS computer, which will work perfectly with your mountain bike. This latest Edge unit is compatible with ANT+ sensors which include heart rate monitor, speed and cadence sensor. The updated features include metrics, measurements, and resourceful features, such as Recovery Advisor, Strava Live and a host of new metrics such as estimated VO2 Max. It calculates the functional threshold power (FTP) and watts/kg tracking. Once prepared with an FTP, you will be competent to measure the time of the effort utilization during your customized fitness interval. It is also compatible with ANT+ power meters, combine with Vector series. Therefore, as soon as you start pedaling, the trainer will routinely regulate to maintain your target. Meanwhile, the 520 will continue showing your stats. It will measure your pedaling power and the help you balance an effective pedaling. You can set an itinerary-recorded (you or someone else created) and the trainer will alter resistance to match the altitude profile. I have already informed you about Live and Social Data tracking (Strava). Well, all the bike computers do not have such facilities, but this Garmin Edge 520 Bundle Mountain Bike Computer has it all. This is the master of connectivity. It can easily transfer data to your smartphone, with Bluetooth. You can easily sync it with your smartphone and then receive calls, text, and email alert on the screen while you are riding. 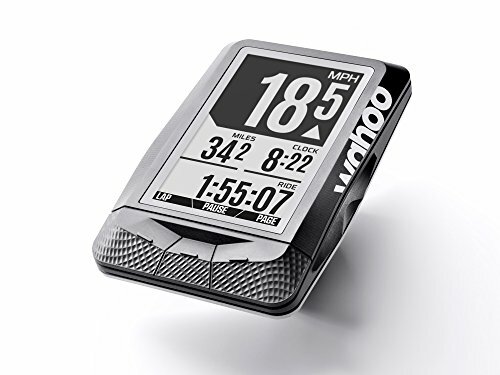 This is the first bike GPS computer that is attuned with Strava live and social data tracking(includes a 3-month trial of Strava Premium). The unswerving connectivity with Strava provides you an edging ride. The segments keep you informed while you ride, concurrently exhibiting the stats of your current recitation against the existing K/QOM and your possessed individual record, in order to improve your effort. Furthermore, the live Strava connectivity is well structured, so enables a routine training, this makes this GPS computer exclusive. If you are an adventurous, passionate rider, then you must be a data geek if this is your case this bike computer is for you. About convenience, Garmin Edge 520 Bundle Bike Computer has a touch screen as well as exterior buttons which make it easier to be used, while on the go. The screen is quite wide and visible in all light conditions and it has seven buttons. The design, arrangement, menu and functions are updated according to your comfort. Edge 520 has a memory capacity to allow you to upload map details of your current riding location, so that you can zoom in and see your neighboring locations for better navigation, as well. New features including functional threshold power and cycling dynamics. Social media sharing features in addition to live tracking. The ability to receive calls, texts and other notifications. Buttons can be very difficult to push. If you need the backlight on, the battery will not last as much as you expect it to. If you are shopping for the best GPS for your MTB, then this is definitely one of the products that you should consider. It is very reliable as it automatically pairs to keep you connected while providing all the necessary information about your trip. The fast and hassle-free set up will encourage you to use it every time you hit the trail. It measures your heart beats, speed and cadence. Moreover, it automatically uploads and downloads relevant route information for your safety and convenience. All you have to do is to enter the information of your destination. Your GPS will automatically search the updated maps then will highlight the optimized cycling routes. Stay safe and avoid surprises by installing this reliable MTB GPS. It is Wi-Fi and Bluetooth compatible to provide all the necessary information that you will need off the road. With detailed data about every single turn, you will be able to explore any terrain comfortably. It comes with a 2.7 inches day bright display, so you will be able to see all the details about your trip regardless of the light conditions. You can link it to popular cycling apps, your phone or any other device that you wish to keep connected as you explore rough terrains. You will receive notifications about your emails, texts and calls while on your MTB. It features easy to use buttons in addition to the ability to zoom the screen. Big display with reliable and easy to access buttons. Automatically downloads, uploads and synchronizes with a lot of cycling apps. Provides turn by turn navigation. Measures heart rate, speed and pace. It sometimes unpairs on its own. You might want to check the pairing every time you hit the trail. If you are looking for the best cheap mountain bike GPS that is compact yet would still provide excellent performance, then this is the one for you. It is one of the smallest cycling GPS devices, but this doesn’t mean that it won’t provide all the relevant data for your safety while riding your mountain bike. The GPS device is compatible with satellites to track how far and how fast you ride. Although it is not expensive, it efficiently adds the Glonass feature where you will be tracked even if you ride in difficult terrains or under tree covers. 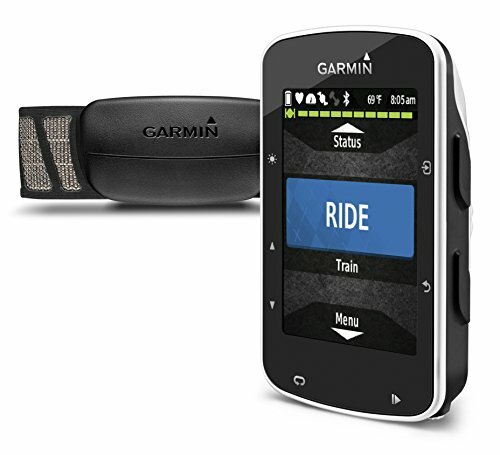 The device is Garmin Connect compatible, and this means that you will be able to share all your data with your friends and family in real time. Garmin Edge 25 GPS Cycling Computer will provide the right data about your speed, heart beats, and your cadence. You will be able to download courses and compare your personal records with post ride data to get a clear idea of your progress. It will be durable and water resistant that it will last for long. Ultra-compact and lightweight bike computer. Features GLONASS technology with satellite connectivity for the perfect tracking even under a tree cover. Allows for better connectivity and live sharing with your friends and family. Analyzes uploaded maps, finished routes and post ride stats. Monitors your heart pace, speed and cadence. This is the best GPS for mountain biking that will provide reliable information about your ride without breaking the bank. It is very convenient to use as it keeps track of your speed in addition to all the relevant data about your route. This affordable bike GPS features a high-quality and reliable LED screen. It is very convenient to use as it will allow you to see all the data you need on the trail. The display size is not huge but is big enough to keep you updated when you are off the road. It weighs only 51 grams. Nevertheless, it records 12 hours of data with no problem whatsoever. You will be able to monitor your heartbeats in addition to understanding more about the recovery time after your trip. This is great news for people who are trying to keep an eye on their health. It generates personalized and customized feedback for future reference. This will allow you to maximize the benefits of your training. It also connects to other apps, allowing you to plan your cycling workout the way you like it. Moreover, you can easily change the cover to match your bike and gear. Affordable GPS with a high-quality LED screen. Lightweight and compact. Nevertheless, it is able to record 12 hours of data. Training guidance and workout planning. Provides feedback after your ride. Integrates with several apps to monitor your heartbeats, speed in addition to barometric pressure changes. It takes time to understand what the buttons do with respect to the different functions on the computer. 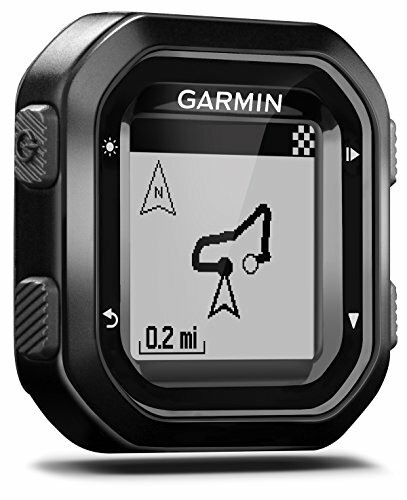 This is a great GPS device that you can depend on when you are on your MTB. As you explore wild terrains, the ability to access updated data becomes extremely important. 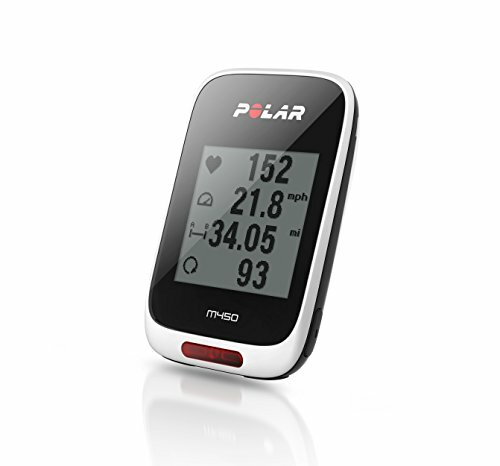 This reliable device has a 2.6 inches display that will show 12 cycling data at the same time. It is the best to plan your ride thanks to the Follow Track functions. It will give you detailed information before every turn allowing you to successfully plan your trip. The device has a built-in compass to guarantee that you are heading where you want. It synchronizes your data in a few seconds. You get to analyze the data of your trips and share them on social media. You can also compete with other riders who share their data on STRAVA app. This is the best GPS device to use before, during or after your ride. It provides all the needed information that you need to plan your trip ahead. It allows you to study every turn of your trip in addition to analyzing the data after your trip is over. 6 inches display that is easy to read. Shows 12 pieces of information about your trip. Analyzes the route before you reach your destination. Shares your data with other users. The mount is not sturdy. Side buttons are not very practical. Bike computers may consist of programs such as the heart-rate reader, cadence, elevation, etc. They can also be a great training tool, and can compare your previous data record to push your training. If you are stern about developing your fitness, a bike computer with a cadence feature will actually facilitate you, in fact, these often provide reading from the rear wheel, permitting them to be worn with a turbo trainer. This is skinny, lustrous, lightweight, and stylish Strada Wireless bike computer that includes every possible data you desire. The Strada is capable of displaying statistics such as existing speed, maximum/average speed, trip distance/second-trip distance, total distance, elapsed time, and 12/24-hour time. Therefore, you can appraise your riding workout details and utilize the information for further benefits without difficulty. Again with the ClickTec touchscreen design, it is too simple to employ. The Strada offers a built-in digital wireless system that helps to communicate flawlessly along with the tool-free wheel sensor. The universal tool-free FlexTight bracket is a blessing that supports the Strada to rise conveniently in effect to any handlebar or stem. Additional features include a programmable odometer, an integrated clock, an auto start/stop function, an auto power-saving mode, a pace arrow, support for two wheel sizes, and a programmable speed unit. All you need to do is press the screen on the suitable spot and the screen itself will proceed as the button, allowing the display to maximize room and create a shiny appearance. Your preferred mode will be visible at the foot of the display. Meanwhile, your existing speed will be emerged at the peak of a wider form, which makes the calculation more visible. The screen also presents an up/down arrow that compares your recent speed to your average speed. The average speed reading can be up to 65 miles per hour. The Padrone has the easiest installation and configuration compared to other bike computers. Besides, it also offers the largest screen with the best possible reading experience compared to other products on the market today. It can assist from downhill mountain biking to the intuitive riding. The Padrone is a perfect choice for riders who wishes to enjoy a gaze-free, accelerating ride, along with a simple mechanism. The intuitive menu includes speed, odometer, trip distance, average speed, maximum speed, moving time, and a 12/24 clock. You can just click on your desired mode, and the switching will do the rest of the job. It consists FlexTight mounting brackets for Bar/Stem and fork support. The auto start and stop it offers helps the computers to wake up from sleeping mode as soon as the rider starts riding the bike, and stops when the rider stops, this also enables the auto power mode. Dual tire size fits neatly on any bike. The pace arrow abets the rider to compare earlier measurements with current measurements. The one major drawback this mountain bike computer has is the absence of cadence. It works with whichever tire size. You can key the odometer setting to convey back the miles from your old bike computer. Padrone and the CatEye product features the exact same mounting bracket. It has two types of batteries Battery type the Main unit (CR2032 x 1) and the SPD sensor (CR2032 x 1). This is the wired version of a bike computer, which will not be messy at all, but will be a little expensive compared to other wired bike computers, yet it is cheaper than wireless bike computers. The Sigma’s BC8.12 features more than enough functions for an early rider. The BC8.12 has a total of eight functions that include speed, distance, average speed/maximum speed, total distance, clock, riding time and total riding time. It has an easy setup was which is described in exact orders, in the manual. Its highlighting feature is the large screen. The digital readout makes things visible to the riders this the poorest eyesight. The single button is located on the face to be shifted through the functions. The units can be quickly attached, as well as removed from the handlebars mount, with a simple twirl stroke. It is really straightforward to run the bike computer with the push of a button. The computer can be effortless reset with all programs rearranging at the mean time. The automatic start/stop systems, aid the system to be stimulated when in use. And it also moves to sleeping mode as soon as you are done with the usage, this also saved battery. With this automatic on/off function you can enjoy a carefree beginning of a journey, and do not have to worry about the end. Furthermore, this bike computer connects to the transmitter without any need for the buttons to be pressed. I will not suggest this bike computer if you are an experienced rider because in that case you may look for detailed features; this bike computer does not incorporate. Downloadable with optional USB docking station. A Cycling GPS is a little device but can make a world of difference when you are off the road. GPS technology has taken over the world over the past few years. The world of mountain biking is no different. GPS devices are compact devices that will provide all the needed information that will help you navigate. You will get data about the trail you have ahead of you, the loops you have covered so far in addition to the activity of other cyclists. When attached to your MTB, they can help guide you on the trail or record data from the distance you have traveled so far. They are very popular because they can even help others track you down as you explore the unknown. Most of the high-quality models will come with the ability to upload new and updated maps. These will help improve the quality of your MTB experience. A lot of people might argue that most smartphones have GPS options as well. However, carrying your expensive phone when you are the trail might not be the best idea. Think of accidents, bumps, heat and rain. Also you Smartphones built-in GPS receiver is not as convenient as an influential cycle computer. Smartphones surely don’t have a battery life, as brilliant as a GPS bike computer. This means the phone battery will die soon, and you will have no backup plan during emergencies. Often smartphones are unable to provide a detailed map, which is a very significant feature you may need. One of the chief drawback while using a smartphone as a bike computer is its weight and the battery life. How and where will you place the smartphone, while you are rushing through the uneven tracks? Chances are the phone may fall off, do you really want to take such a risk. Besides, the dedicated smartphones that you can mount with your handlebars are quite expensive and heavy. Also, you have to position your smartphone in a rugged case. As a result, it will gain extra weight and cost. Therefore, instead of investing extra money on your smartphone, you should get a GPS Bike Computer, which is more suitable of your mountain bike. A high-quality GPS is not going to be cheap but will definitely cost less than an expensive smartphone. Moreover, it is built to withstand rough and extreme conditions. You will be able to connect it to your phone to get the message and phone call alerts. You might even have the opportunity to share the news of your experience on social media. GPS devices are very easy to use. You can easily mount them to your bike’s handlebars or frame. This will provide a clear view when you are on the trail so you will not have to take your eyes off the road. The best mountain bike GPS will help you with weather forecasts. These will help you better prepare for your trip. They also usually come with easy to use screens that help you switch between features for your convenience. To find the most compatible mountain bike GPS for your mountain bike, you need to consider that the bike GPS has all the facilities you are looking for. The facilities must include information which will be beneficial to your riding zest. So, now we are going to specify the available criteria of several units of mountain bike GPS computers, to help you evaluate. As I have already mentioned, the listing is made according to the features and criteria, thus, you need to read thoroughly, note down your essentials and make sure they are integrated into your decision, that is how you will discover the best MTB GPS unite, you are looking for. GPS sensors are basically wireless. It is easier to install them. There is no need for long wires. Therefore, it leaves a clean look. The GPS units manage to detect signals with the help of heart rate monitor straps and on-bike sensors to plot further additional data such as cadence and heart rate. You should make a major investigation on set-up before making the final purchase decision, you need to spend more time to study on a complex bike GPS. It may seem a little difficult to be understood in the first place, but eventually, you will recognize the programs. Backlight aids a reliable reading through low light; it is essentially a form of illuminator used to produce a visible reading and display. You can ride through terrains after the sun sets and still can analyze your progress. The data screen may have a limited screen or may allow you to work with several screens. It can have a touch display or you may have to scroll through with the push of a button. It depends on, so, study before you purchase. The interface is the technique you will employ to function the bike GPS. The devices may utilize a blending of a touch screen and buttons, utilize blending of touch screen and buttons, otherwise, may use either touchscreen or Buttons. Buttons are mainly for the regularly used functions such as power on/off and start/stop reading. The touch screen can be utilized to steer between the listed data slides and all set-up menu functions, meanwhile riding. The customization of the display can be available, or it can be fixed too. You need to inquire, before purchasing. Other customizations include a choice of changing the font size. The font size, reliability depends on whether you are in a stationary position or are you in motion. A font size can be quite visible when you are still and can get blurry; immediately you catch momentum. Mountain bike GPS, computers employs a built-in rechargeable battery which can last up to 20 hours. It means, the bike GPS, computers supports the best battery life. I will suggest you to look for a bike GPS with a minimum of 14 hours of battery life, since, they do not have a removable battery option. This feature can be included in an essential bike GPS sports watch, which can be mounted to your bike’s handlebars with the help of an adapter. This kind of devices has multiple usages, besides, they are durable and waterproof. Some bike GPS devices can sync with your phone. So that you can receive/send calls, texts and emails. You can also share data with the help of Bluetooth from your GPS to your phone. Compare and share your data. All you need it to connect to the Garmin’s Connect, view activities of another rider, compare your activity with theirs. You can upload your activity too. Live GPS tracking is the highlighting function of the bike GPS. Only a very few yet the best mountain bike computers has a live GPS tracking. This might not be that essential for you. But this is a fun program, which permits your location to be tracked, which means your friends and riding companions can actually track you, and can do the same. This navigation will appear as a small dot on the screen. The GPS detects its location from the satellites and propels the positional data to other smartphone/GPS computers via Bluetooth. The smartphone, then draw on its cellular connection to launch the current spotting information to a server. This is how the location map is updated. Strava is web-based software that will help you to upload ride data from a host of diverse devices. That means you can transfer data from your bike GPS to your phone, and use your phone as a tracking device. Strava works as a social data tracking and a workout tracking software. I know the features can be a bit complicated, but once you understand their use, you will be able to figure out, what is going to be useful for you. All these Bike GPS will work fine on your bike, but as you are looking for the most excellent device, you need to invest some time in studying in depth, that is when you will be able to discover the best mountain bike GPS, for yourself. Hope this article helps your decision.